Born in Los Angeles in 1932, Reynolds “Renny” Yater started surfing when he was 14. 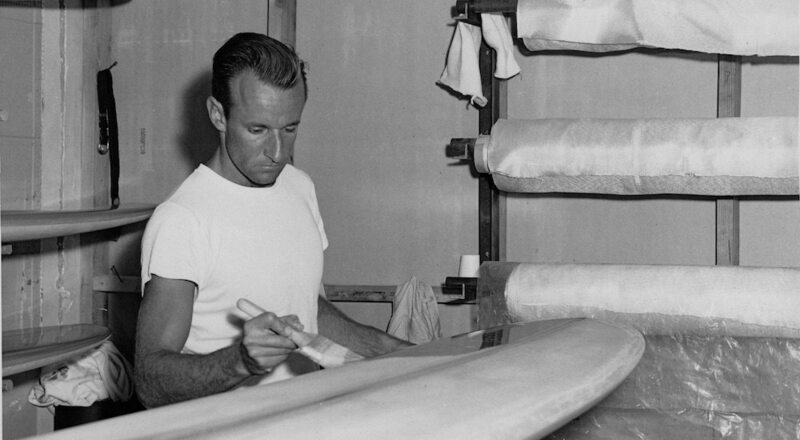 He started building surfboards in 1953 at the age of 21, but not under the Yater name. From 1955 to 1957, he glassed balsa boards for Hobie Surfboards in Dana Point and then refined his shaping skills while working for Dale Velzy in San Clemente from 1957 to 1959. In 1959, Renny headed up the California coast to Santa Barbara. There, he opened Santa Barbara Surf Shop and trademarked the Yater Surfboards name. When the surf market exploded in the ’60s, many of the board makers rode the wave, taking full advantage of the booming sport. Despite his superb board-building skills, Renny chose not to. Rather, he deliberately kept his business small and local. Still, Yater Surfboards were preferred by such well-known industry professionals as Surfer Magazine’s John Severson, filmmaker Bruce Brown and “Grubby” Clark, the founder of Clark Foam. Here is part two from our interview with Renny Yater.